Ships from and sold by Nimbus Retail ~. Power Query is the amazing new data cleansing tool in both Excel and Power BI Desktop. Do you find yourself performing the same data cleansing steps day after day? Power Query will make it faster to clean your data the first time. While Power Query is powerful, the interface is subtle—there are tools hiding in plain sight that are easy to miss. 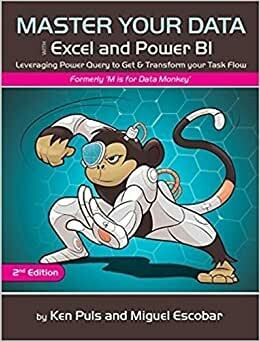 Go beyond the obvious and take Power Query to new levels with this book. Miguel Escobar is an Excel and BI specialist and a Microsoft MVP from 2014-2017. Ken Puls is the controller/director of IT at the Fairwinds Community & Resort. He is a winner of the prestigious Microsoft MVP – Excel award.